Television and media producer True North is underway shooting for the popular straight-talking consumer series Shop Smart Save Money for Channel 5. The series provides tips on the best deals and offers to help consumers get the best value for money. True North, tenants of The Round Foundry and Marshalls Mill estate, chose to film in the area last week due to its architectural backdrop and accessibility. It also meant easy access for the True North team, who recently extended their space in Marshalls Mill to accommodate an expanded post-production office. The show, hosted by Gaby Roslin and Alexis Conran, will see the Shop Smart Saving Squad help a different ‘family of the week’ to reduce their outgoings. “Deal Detective” Andy Webb will review their bills, finding simple ways to help them boost savings up to £1000. The Smart Shoppers will also teach families to cook appetising meals on a budget. It will appear on Channel 5 every Thursday from 18 April 2019 at 8pm. 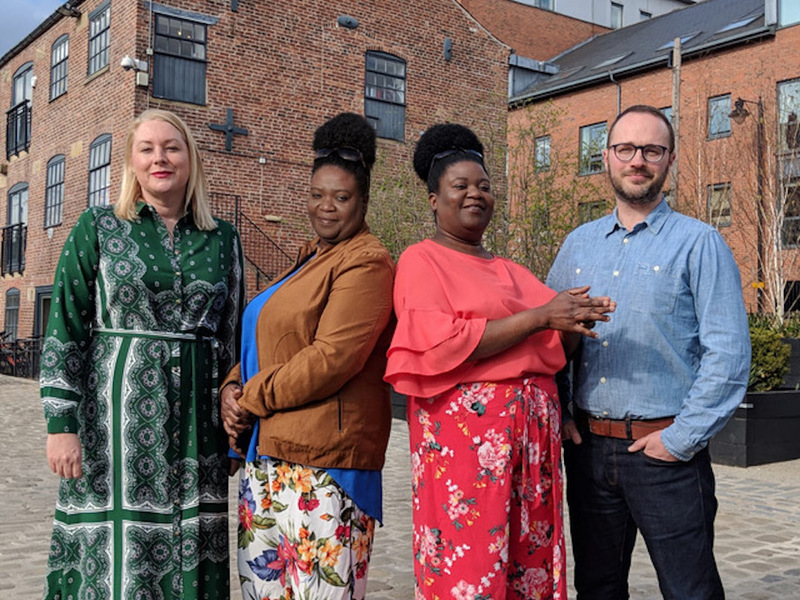 Leeds has seen a spate of national shows filmed in the city recently, with this looking set to rise with the relocation of Channel 4 to the city centre. “It is fantastic to see a national TV show being shot here on the South Bank, and especially on our estate which is steeped in heritage but with a real creative community at its heart. PREVIOUS POST Previous post: Do Councillors Care?